Item # 309682 Stash Points: 1,395 (?) This is the number of points you get in The Zumiez Stash for purchasing this item. Stash points are redeemable for exclusive rewards only available to Zumiez Stash members. To redeem your points check out the rewards catalog on thestash.zumiez.com. 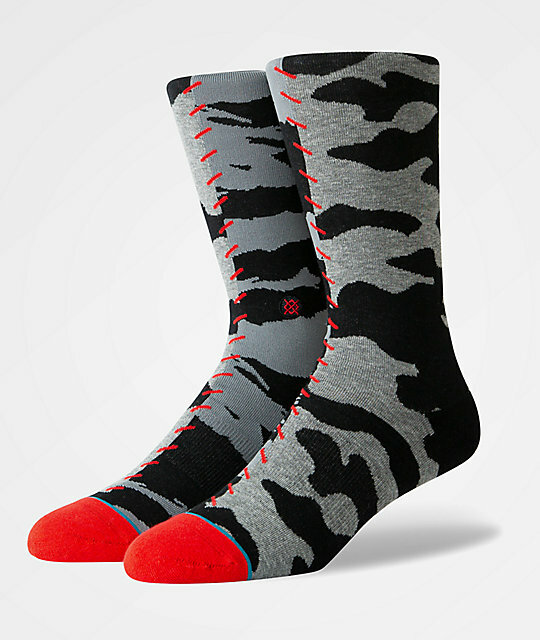 Step into style with the Hard Way Crew Socks from Stance. 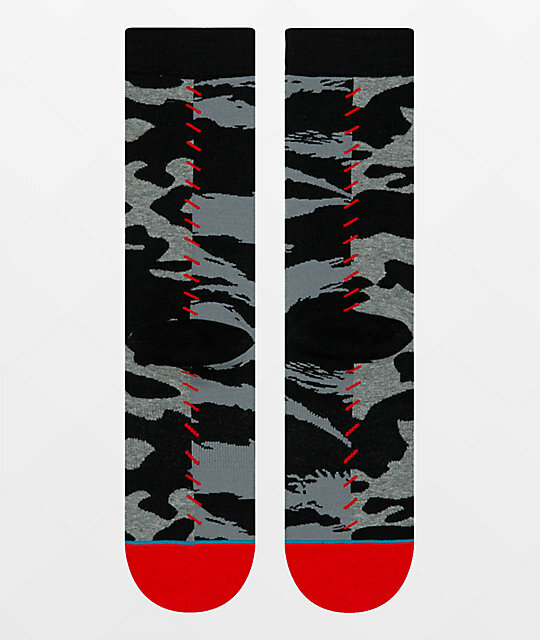 These quality crew socks come in a black and grey jacquard knit camo-inspired design with red detailing throughout. A seamless toe closure and athletic ribbed upper cuff offers a comfortable and secure fit, while the design is complete with Stance's signature logo embroidered at the ankle. 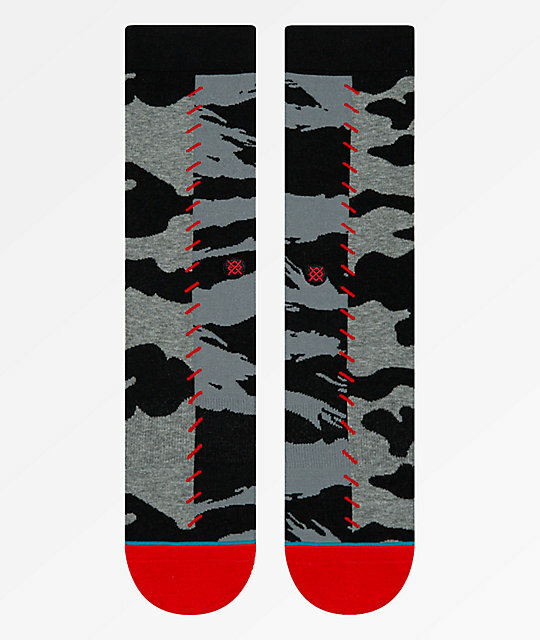 Hard Way Crew Socks from Stance. Grey & black camo print throughout with red detailing.